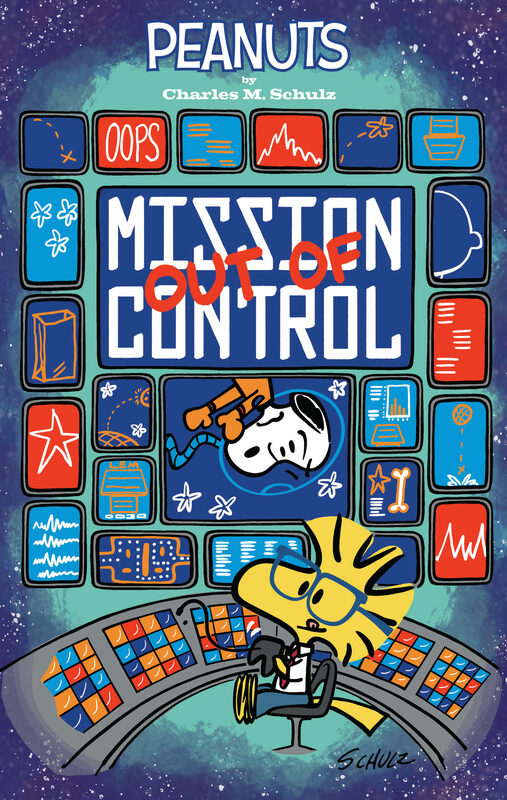 While there were lots of bits of business that I had to get done at Comic-Con last week, the one purchase I felt was absolutely necessary was to get a copy of Mission Out of Control, the convention-exclusive Peanuts comic book. After all, I’m the guy who chronicles these things. This proved to be an effort; not only was there always a long line at the Peanuts booths, filled with people eager to buy all of the exclusives, that line was almost always “capped” – i.e., you were not allowed to join the line, it was taking up too much space on the convention floor as it was. Which meant you looped around, finding excuses to stop near the line frequently to see if it was capped. Frustration, but that’s what you’re asking for when seeking “limited”, “exclusive” items. But toward the end of the second day, they had sold out of most of that day’s allotment of the exclusives, so folks were getting into line, seeing what remained, and figuring they’d try again on a different day. But the comic book was not sold out, so I managed to get into line and get through relatively quickly. 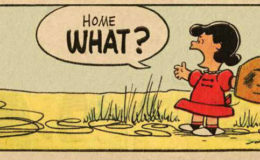 The comic is… well, this is definitely outside-the-strip Peanuts. 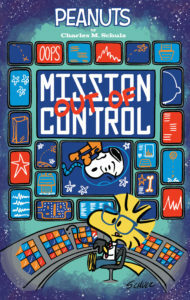 The story is a 15-page dialogue-free tale of Woodstock (at least, I presume its Woodstock) and his fellow birds who work at the National Bird and Space Administration. Written by Jason Cooper and drawn by Vicki Scott, it’s slapstick workplace comedy, as the bespectacled lead character struggles with the coffee maker and the other shirt-and-tied bird employees goof around in various ways. The production value is all fine, as you’d expect. As a reading value, well, for $10 you’re paying for a story that’s 2/3s as many pages (and smaller pages to boot) as a standard $3.99 comic book, so if you have $10 to spend and just want to read some Peanuts, spend it elsewhere (which you kind of have to, because the convention is over.) But as a collectible item? 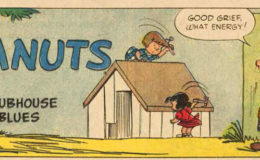 For $10, it’s a Peanuts comic book collectible that is more than just a variant cover on a standard issue. I don’t know if this story will ever show up in some collection, but for now, this is the only way it is to be had!